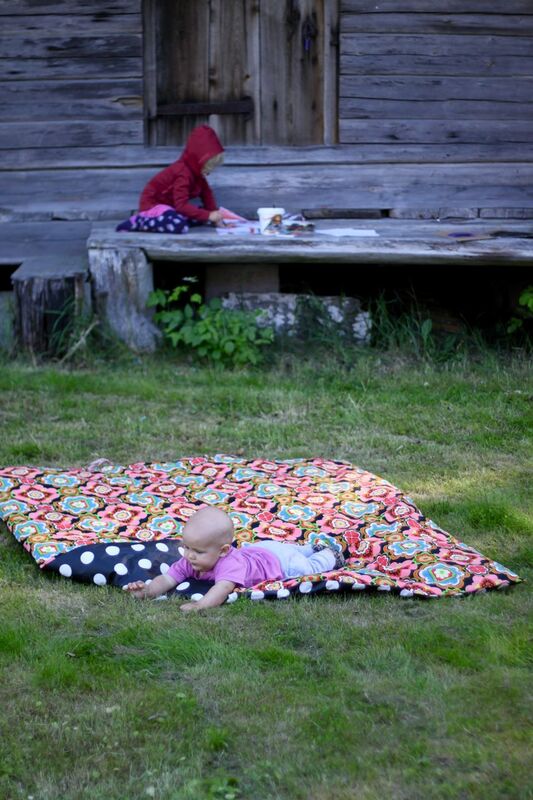 I have been wanting nice simple blankets to have for the summer season. For the front yardt of our summer house, maybe to bring to a picnic or to the beach. Big enough for the whole clan but easy enough to be able to bring it along on adventures! 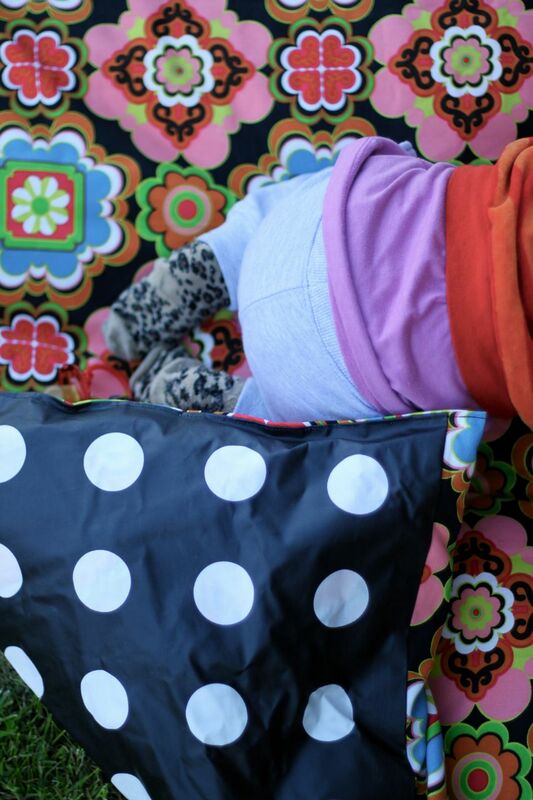 (the same as for the Stokke chair cushions) from Ikea. I would recomend to make it white some you know you can wash. The fabric is called Lialotta and supposedly washable in 40 degrees. – I found that a lot of the black color dissapeared in the wash. 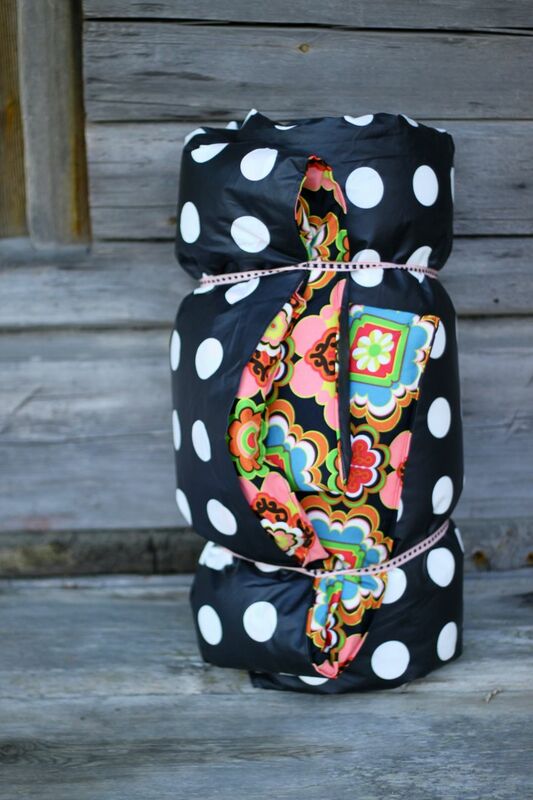 The fabric on top is made by Lotta Khulhorn for Ikea (fabric is called Malena – very cheap). I made it as a classic bed sheet so you can tke out the blanket inside and wash the sheet. It ws cheaper to buy two of Ikeas blankets as a filling blanket then to buy cotton wool/wadding! Very nice! If it is Lialotta oil cloth /vävplast you can wash it in 40°C (IKEA:s homepage). I´m impressed by your fantastic garden! Very nice idea, these blankets! What a fantastic idea. 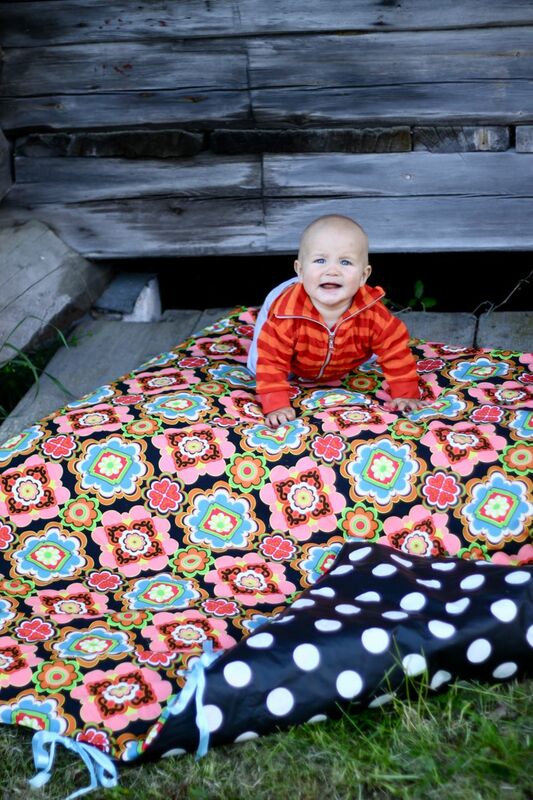 The blankets are beautiful and I love your fabric choices. I love it! It is absolutely gorgeous. Good for you! Baby looks so comfortable. Wonderful. 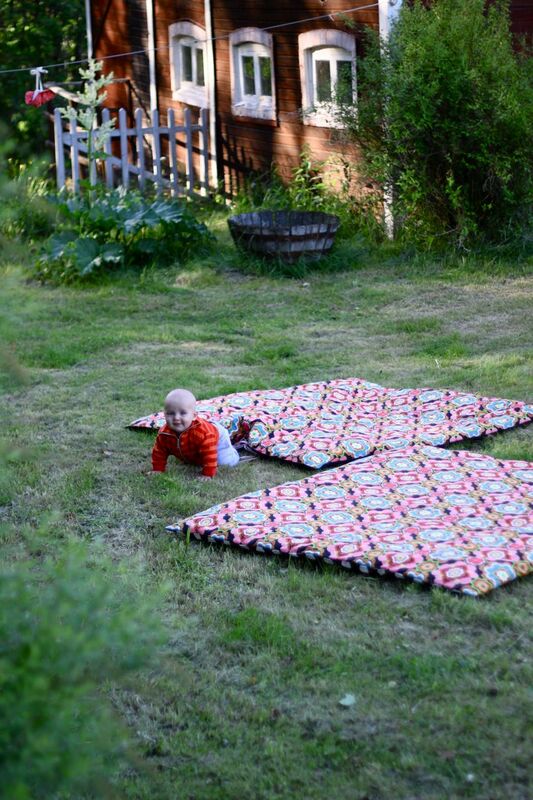 Yes, the gorgeous weathered timber and the garden almost steal the show from the great blanket! 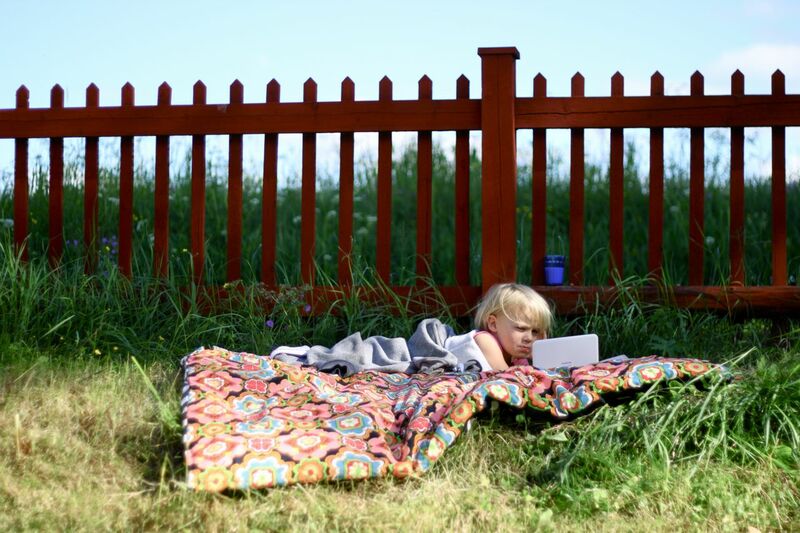 kom gärna in på min blogg och tävla om du/ni har lust! I potten står en tryckt illustration! Brilliant, I love it. I don’t think I’ve seen that lovely fabric at our Ikea but I’ll keep my eyes open. Thanks for the great idea! ps. I found your blog some days ago an I LOVE IT!!!!! I was just wondering what you stuffed the blanket with, if anything. Thank you! I love the idea, and it looks amazing!